Like the ouroboros, I am turning in on myself and drinking a lot of my own cakes of late. This seems almost indecent, after a recent lifetime of continually trying new tea, and continually buying new cakes. However, sufficient time has passed that the game is afoot! Changes are apace. This article is about two things: (i) cash money, and (ii) aging cakes. If you've been here since the very beginning, Gentle Reader, or if you've read some of the older articles in the archives, you might remember that I started out writing articles for this humble site when I was but a graduate student. In those benighted days, when my every waking hour was lived within the shadow of The Thesis, I was being paid a "scholarship", which is to say, I was not rolling in disposable income. My university likes to trade on its name, which means it's almost preternaturally disposed to paying far below the going rate at all career levels. You might have experienced the same. These are cakes that were super, super cheap back in the day, at £23 and £13, respectively, for the 2007 XZH and the 2006 Douji. Taking the more expensive (!) of the two as an example, that £23 in 2007 is now approximately £28 in 2018, via inflation. Back then, as I take great delight in reading, the price was a matter of huge concern. These days, that gets me approximately 30 minutes of swimming class for one (not both) of my young children. This is not to say that I have become entirely profligate, but merely: how our expectations have changed when it comes to tea-prices! How great is the distance in price between a "solid" cake at £13-£23 pounds and the modern equivalents! I used to take it as a personal insult that someone might want to be remunerated for sweating into their grey knitted underwear up a mosquito-laden mountain in Yunnan, etc. These days, I'm happy to see these folks turning a profit; after all, tea businesses need to be sustainable (i.e., making bank) otherwise there won't be any tea businesses. Heaven forbid we return to the dark days of Houde being the only place to buy tea (love you longtime, Houde). However, expectations have changed, that much is clear. The irony is so very, very sweet! When prices were at their most affordable, my budgets were at their least amenable to purchase. Now that personal circumstances have changed, well... you know the price of modern bingcha as well as do I. It's not bad, it just is what it is. So, prices are higher than they were, such is the outcome of a developed China (always a good thing) and a maturing market for pu'ercha (likewise a good thing). There's not much to be done on that front, except enjoy older tea when we have it. Hence onto the second aspect of this article: the introspection of a tea writer, disappearing up his own proverbial collection. This is dangerous. I am thus writing about cakes that are quite probably not available any more and, if they are available, might be murderously expensive. Of course, half the fun in the teasphere is the shared experience of trying out cakes together, picking up tips on which one might buy next, and so on. That simply can't happen if some dude starts vanishing into his own shelves. However, I hope it might be helpful. It's certainly turning out to be extremely instructive for me. The last time that I revisited cakes in any number was around half a decade ago, in 2013, typically much earlier even than that. So, we have a good number of years now from which to make our observations, form hypotheses, and maybe even draw a tentative conclusion or two. From the above two articles, we might conclude that even quite basic teas (as those above) can do nicely with age. £23 and £13 are not objectively high prices, and the teas were almost certainly from plantations, in my opinion. That plantation character exists within the aged versions, but, like rancid ol' 7542 (which I adore), it has come out well. The raw strength of the early days has smoothed, mellowed, and become elongated into a very substantial sweetness that just continues on and on. The texture is much improved, too: these teas are thick, viscous fluids and they are rewarding. They are not dark teas, but they have the rounded character of sanded and varnished wood, in a good way. I like 'em. I am also able to draw some conclusions about English storage: as you might have read in the articles above, the sheer dampness of England, and Oxford in particular, is great for keeping these teas "fed" with moisture, such that they don't die. I believe that a lack of humidity is the death knell for pu'ercha, which I understand is commonly-received wisdom. However, British climates are not tropical: we don't have searing heat for much of the year (almost no houses have a.c., for example), and we get high(ish) temperatures for a short part of the year. The cooler temperatures mean that the teas, while staying nicely alive in the humidity, are not accelerating towards redness. Such is the price of not aging one's tea in the tropics. This is something that you can also see from humid-yet-cooler regions of China. Heresy incoming: I did not choose my place to live based on its capacity to age pu'ercha. I know, what a newb! Thus, I mus live with the consequences. Happily, those consequences seem to be reasonable for tea, in that it's not dying and that it's getting somewhere - albeit slowly. 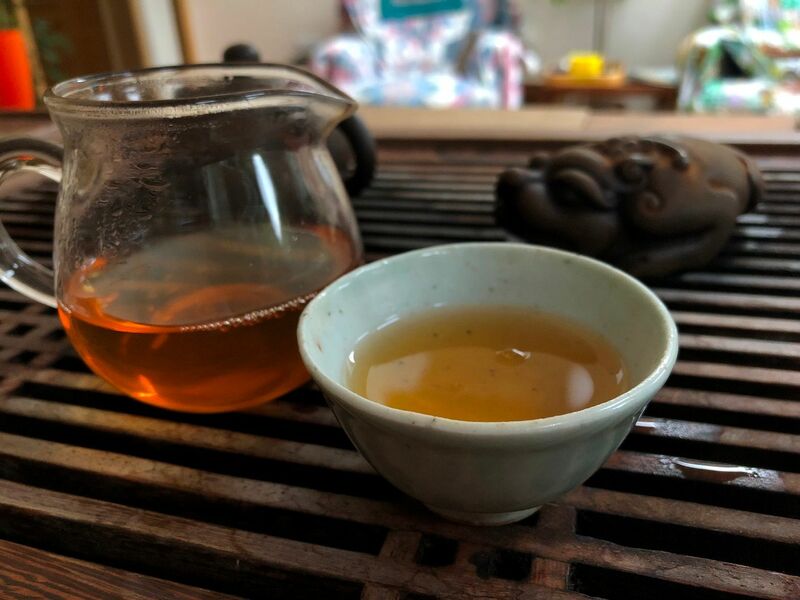 If we are being generous, we might wonder if this is a similar effect to compressing one's tea extensively: tuocha age much more slowly than loose bingcha, of course. As with the prices, it is what it is. A final conclusion concerns the "black" character beloved of some "house styles", which seems to originate, as far as I can tell, to the mid 2000s. Think of, for example, the recognisable house style of Xiaguan, as typified most clearly in its "FT" range, or, in the extreme, its "Baoyan" products for Tibet (from which perhaps the style originates, given that Baoyan is very much older than the mid 2000s). Douji cakes have a similar, but noticeably different, house style. 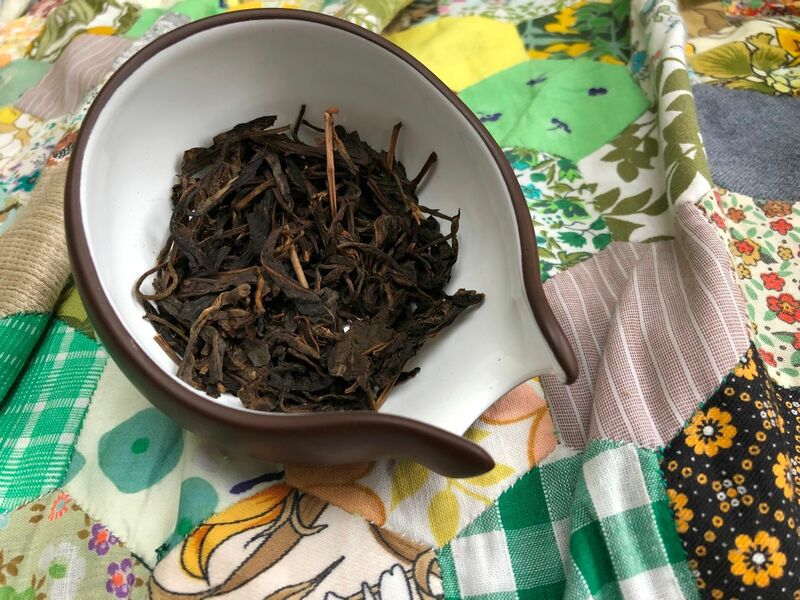 There is processing afoot such that these teas start a little darker than they might otherwise - and, in the case of Xiaguan, very much more dark. This brings smokiness, richness, and, sometimes, a "tobacco" association. When these cakes were being processed in this "black" manner, there was not a huge amount of evidence to say how they would age. We have older Baoyan, of course, but most of the FTs, Doujis, and the like come only from the mid 2000s. So, how do they do, after some 12 years? I rather like the result. The power of youth has smoothed into the sweetness noted before, and the blackness lends a fragrant afterscent that is most complementary, in my opinion. The smokiness has gone, almost entirely, and we are left with dark fruits, old summerflowers, etc. Grab one for yourself and see if you agree. P.s. Holy smoke: more than 7,000 views for recent articles suggests that the teasphere is very much larger than once it was. Hordes of drinkers, unite! I recently read the comment section here about all us old chaps discussing the dramatic price increase of Douji ... haha cute. It is nice to see a new post from you from time to time. I find what looks like a seller for the XZH cake on a Hungarian-language site where 50g samples are offered at ~USD20. I suspect the price reflects the fact that you've written about it! 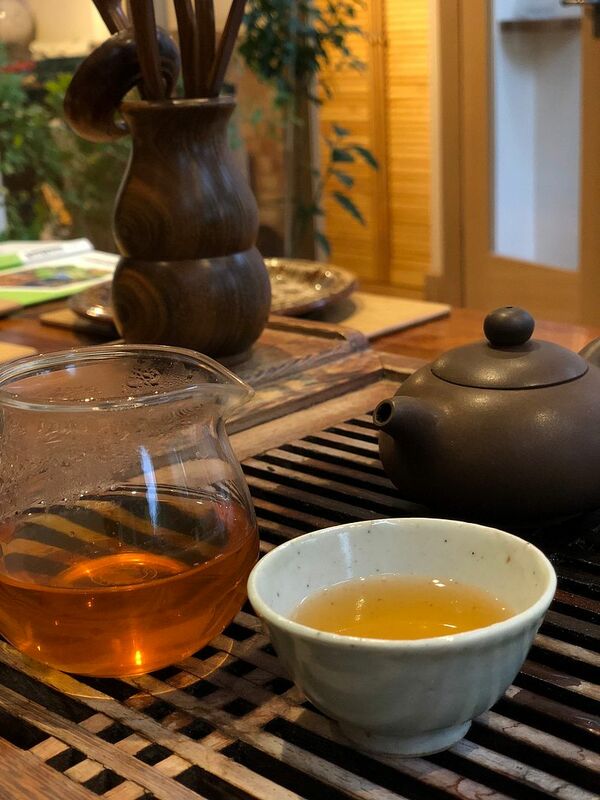 I got into this pursuit much later than you, and much older: I cannot realistically buy new tea with the expectation that I'll be able to age it decently, though I live in a place where conditions are close to the ideal. So I buy 10-15 year old Guangdong-stored cakes, at prices starting around USD60. I can't afford much Dayi, it's true, but minor-factory plantation cakes often turn out to be quite OK for may daily consumption. And I find the occasional production that I think will develop in a direction I like over a time frame I seem likely to survive, at a price that lets me lay in a few cakes. I do sometimes, in spite of myself, rue that I was not paying attention to Chinese tea in 2008 (or even 1998): I was considerably beyond the starving grad student stage of my career then, and could easily have bought enough $100 tongs to keep me in tea for life. But the briefest moment of bare attention to such thoughts suffices to remind one of their futility. I have followed your blog for ages and yet, this is my first comment. It has been an interesting journey and evolution and I just wanted to say: Thank You for the Journey. While the blog might be in an amicable silence for long wintry months at a time, new posts are like the warmth of seeing an old friend after a long time. I hope that continues, even if it means meeting in such a transient manner. P.s. I would love to see a update on the Tetsubin/what it looks like now.